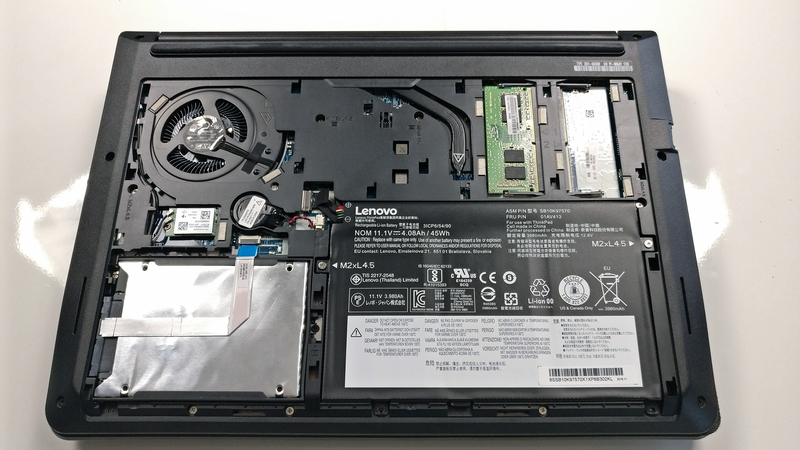 While we work on the 15-inch ThinkPad E570 review we finished testing the 14-inch variant and we are curious if it’s any good. 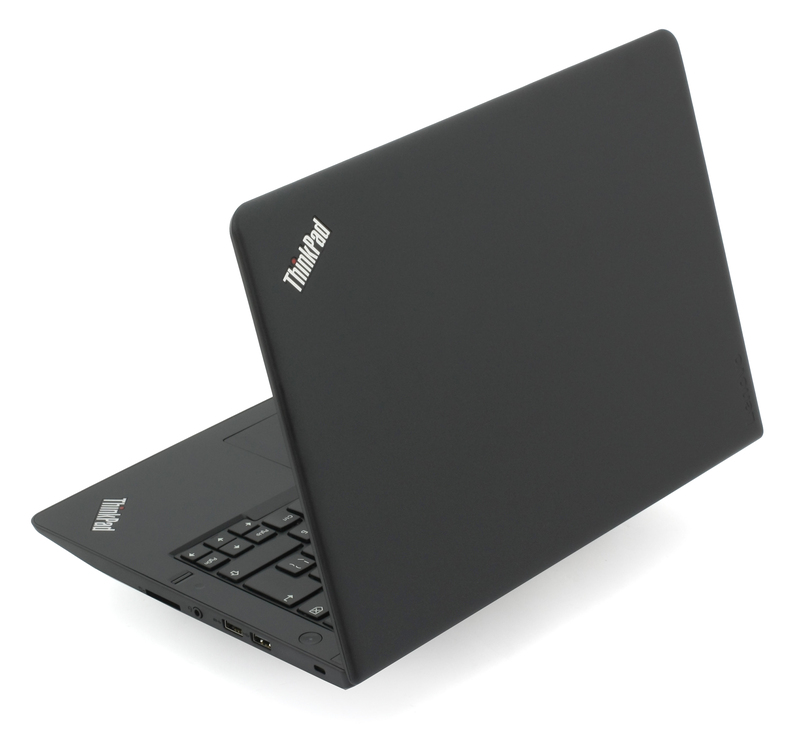 Costing considerably less than its bigger 15-inch sibling, the ThinkPad E470 offers the same compute power, an IPS Full HD display, a more budget-oriented and less powerful GPU on board and surprisingly, a tad bigger battery. The former change is quite understandable because an NVIDIA GeForce 940MX graphics card will take it much easier on the cooling system and smaller chassis but we are puzzled by the bigger battery unit, nonetheless. User experience remains largely unaffected by the form factor, though. For the writing of this review, we were able to obtain the budget variant of the laptop with just Core i5-7200U CPU and the integrated Intel HD Graphics 620 GPU. Keep in mind, though, that there’s a model with the NVIDIA GeForce 940MX (2GB GDDR5) on board, which is capable of taking care of more graphically-intensive tasks but we doubt it will be of any concern to the mass user. Aside from the small hardware changes, the 14-inch model offers just about the same features as the 15-inch one. The advantages of the smaller model are obvious – lighter, smaller and slightly more accessible (price-wise). 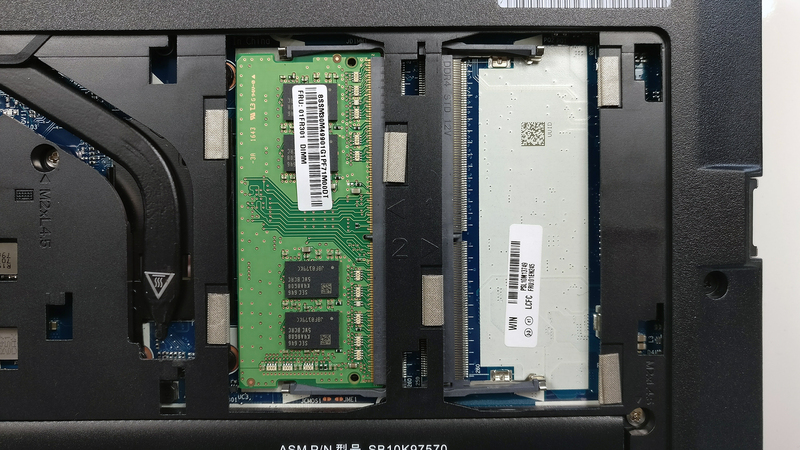 Still, the absence of an additional M.2 SSD slot and might drive some users away into the 15-inch E570. But how does it stack against the competition? The retail package is the usual one containing all the user manuals, the AC adapter, power cord and the laptop itself. 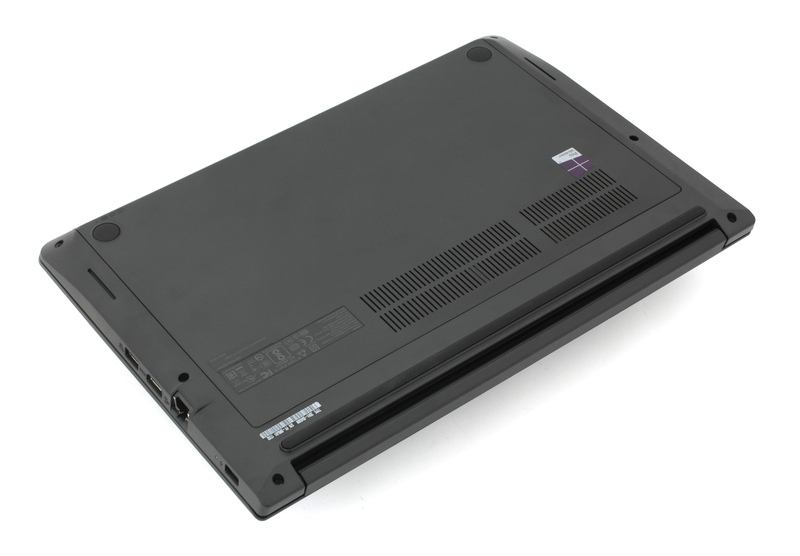 Since the battery of the E470 is screwed inside the chassis, it’s not shipped separately like the E570. 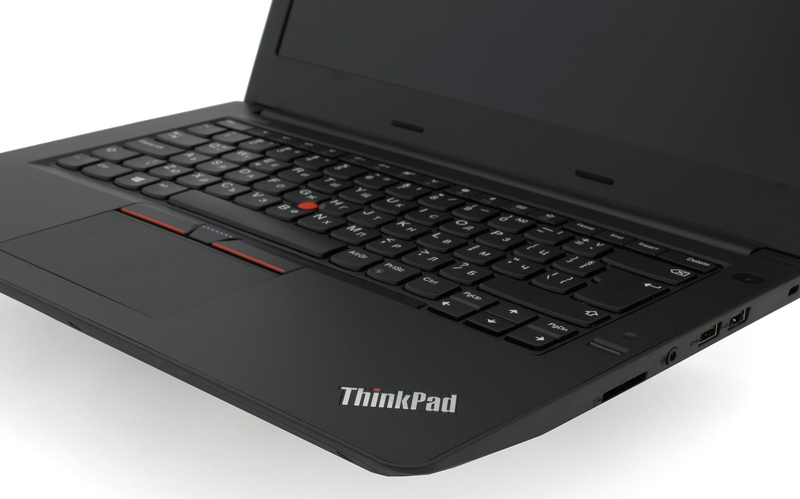 The ThinkPad E470 is basically a smaller version of the E570 in terms of appearance and design. Plastic is the main material used for the chassis while retaining the keyboard and touchpad design. The smaller form factor of the E470 has translated into, obviously, thinner profile (23.7 mm) and lower overall weight – 1.87 kg. The most pronounced design feature of the E470 is the lid. It shares the same black, matte, silky-smooth finish with the bigger E570 but unfortunately, the surface isn’t great for grip and attracts tons of oily fingerprints. They are quite visible as well. However, due to the smaller size of the panel and centered single-hinge design, the lid appears to be slightly more stable and isn’t as susceptible to bending and twisting. Also, opening the laptop with one hand is possible but the base lifts up a little. The bottom, on the other hand, features black roughened plastic, which feels pretty solid and isn’t easy to bend. It also provides a grill for extra airflow. 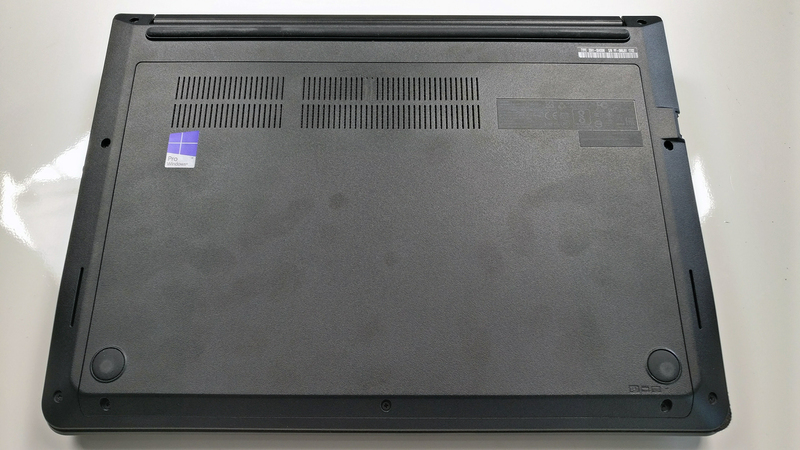 As you may have already guessed, the 14-inch model lacks some of the connectivity options the 15-inch E570 has. Luckily, one of the missing ports is the VGA one, which isn’t missed by anyone but we do have to note the absence of the USB-C 3.1 (Gen 1) connector as well. 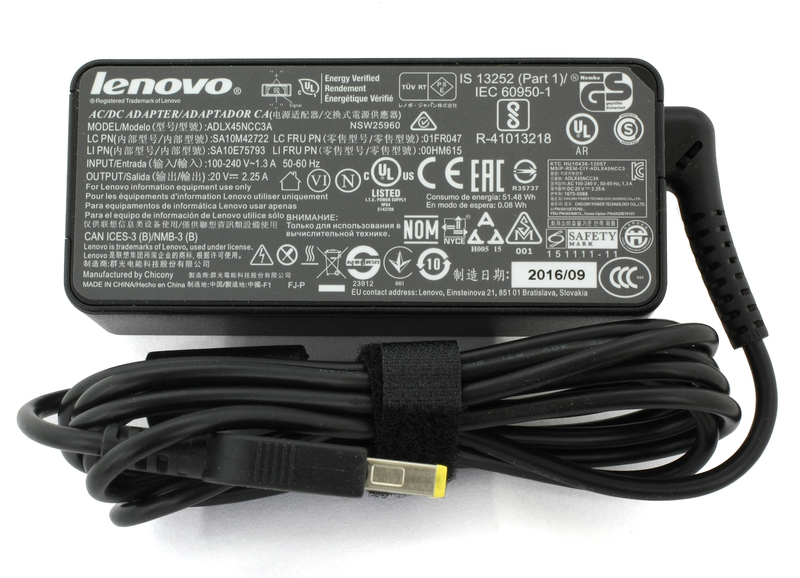 Anyway, the left side features the DC charging port, RJ-45, HDMI and an USB 3.0 connector while the right side accommodates the 3.5 mm audio jack, an SD card reader and two USB connectors – one of them is 3.0 and the other one is 2.0. 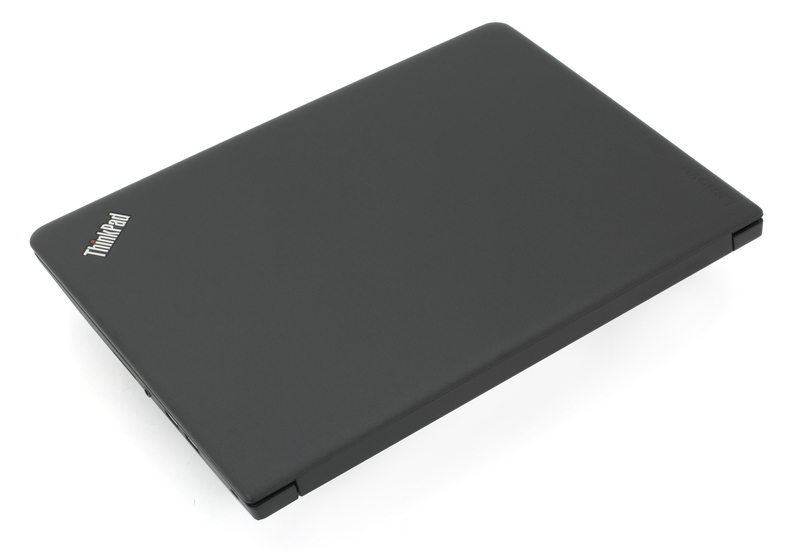 Opening the lid reveals a familiar interior – hard black plastic resembling anodized aluminum with the standard for all ThinkPad keyboard and touchpad. The material used for the interior feels pretty rigid and even strong twisting doesn’t result in flexing. The keyboard, as usual, offers long key travel with satisfying silent clicky feedback. The Numpad section is missing due to the limitations of the 14-inch form factor but what’s inexcusable, though, is the lack of LED backlight. 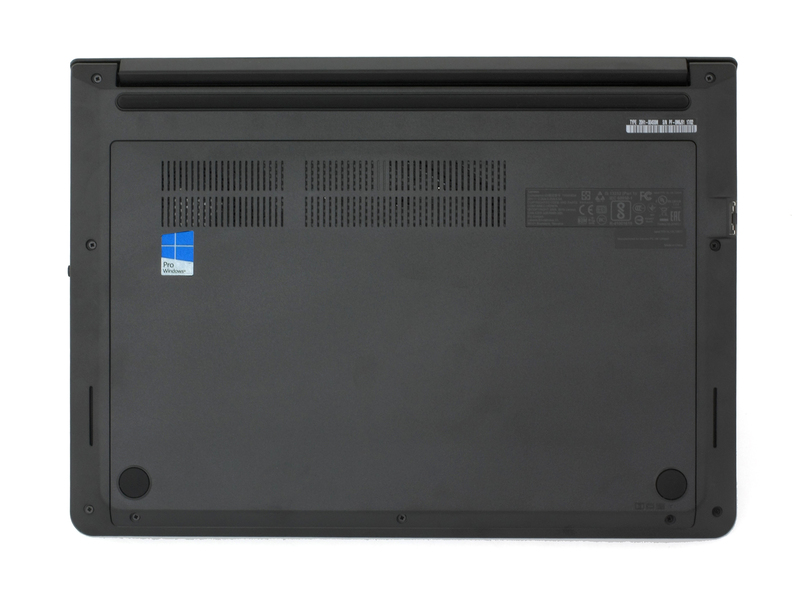 It has become a standard for mid-range business notebooks like the ThinkPad E470. 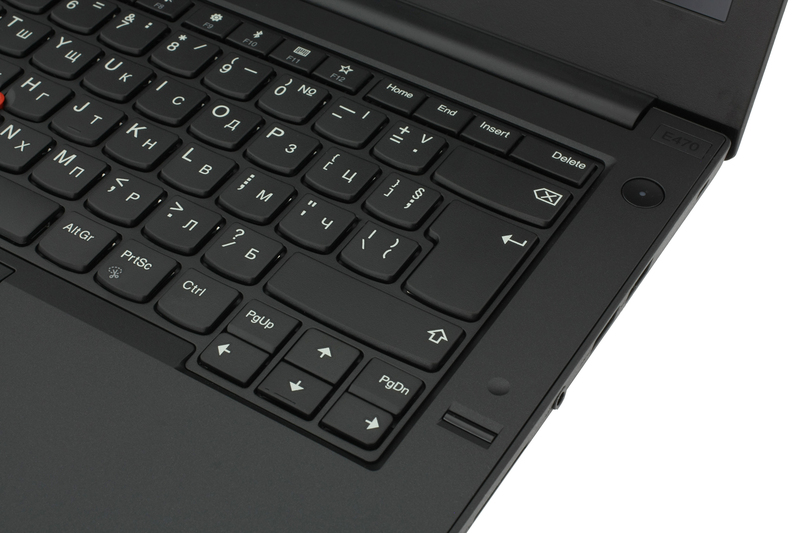 The touchpad also remains unchanged compared to the 15-inch E570 – clicky, light, responsive and accurate. There’s, of course, the option of using the TrackPoint instead. Although the E470 and E570 share mostly the same design and build, the 14-inch model feels more “firm” and robust and due to its form factor, it’s leaner and lighter than the 15-inch variant. 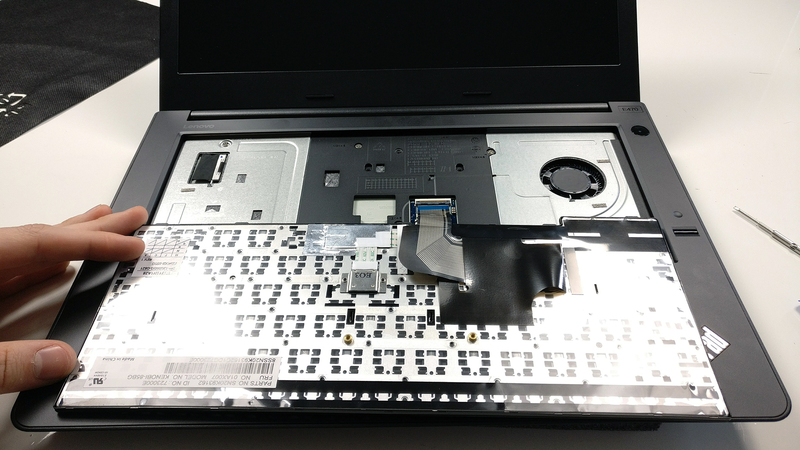 The keyboard and touchpad remain the same while the single-hinge design is a more appropriate solution in this case compared to the E570. There’s no dedicated service hatch but the whole bottom piece comes off easily and gives immediate access to the commonly upgradeable components. 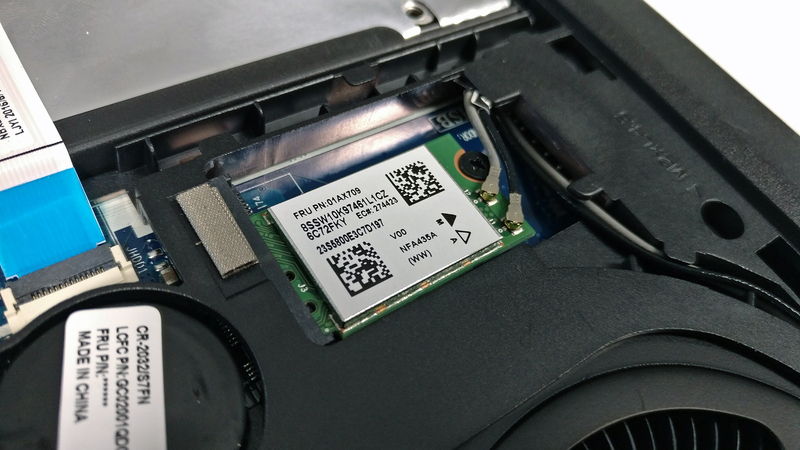 Unfortunately, we didn’t find an M.2 SSD slot so the laptop relies only on the 2.5-inch device. 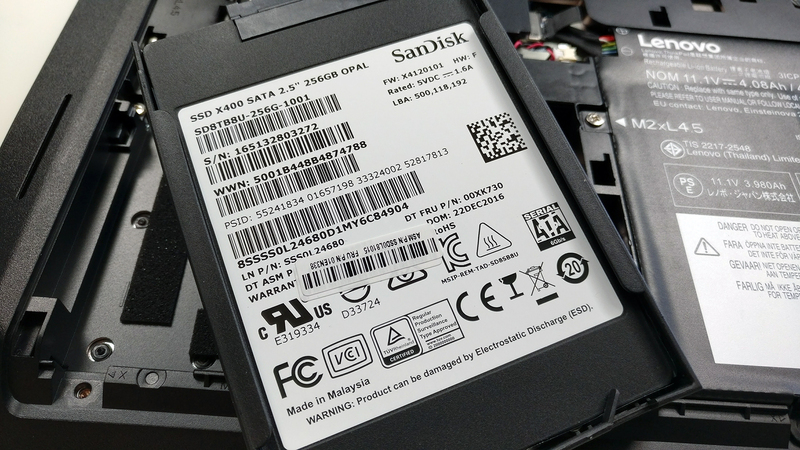 In our case, it’s a SATA SSD from SanDisk X400 with 256GB capacity. The mainboard supports two memory slots up to 32GB of DDR4-2400 RAM. 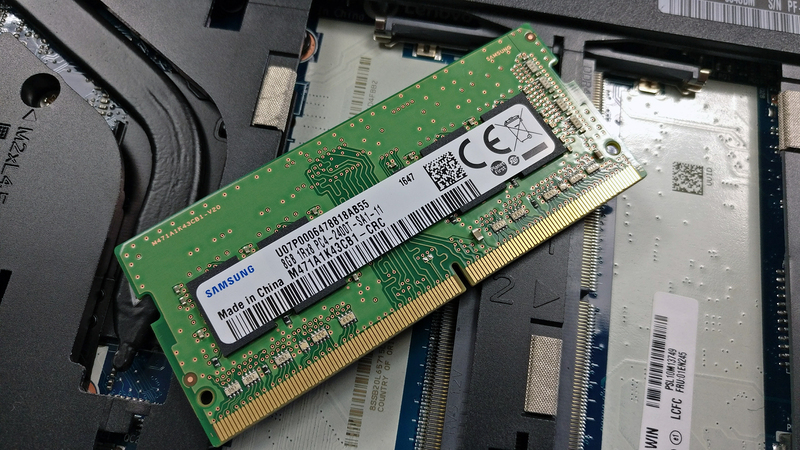 Our unit came with a single 8GB DDR4-2400 chip from Samsung. The Wi-Fi module is manufactured by Qualcomm with model number QCA6174. 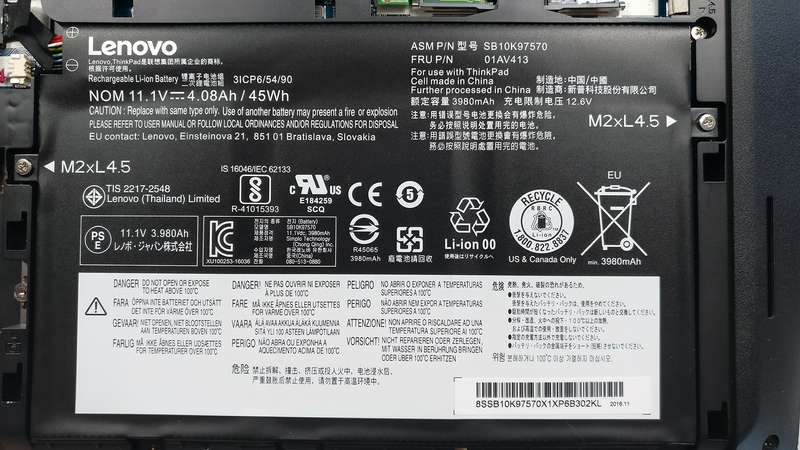 The battery is placed under the wrist rest area and it’s rated at 45Wh. The full disassembly of the notebook is quite the hassle. You will have to remove all the screws around the bottom of chassis and then gently pry up the keyboard. Under it, you will find more screws that need to be removed and only then, you can access the other side of the motherboard. And as for the cooling system, it consists of just a standard heat pipe connecting the heatsink and the cooling fan on the side. The notebook uses a 14-inch IPS panel with Full HD (1920×1080) resolution manufactured by Innolux with model number N140HCA-EAB. This means that the pixel pitch is 0.16 x 0.16 mm while the pixel density is 156 ppi. It can be considered as “Retina” when viewed from a distance equal or greater than 55 cm. Viewing angles are excellent since this is an IPS panel. We’ve recorded a maximum brightness of 260 cd/m2 in the middle and 247 cd/m2 as average across the surface with just 18% deviation. This will be enough for indoor use but not enough for outdoor work. The color temperature is 6400K, which almost matches the optimal 6500K. 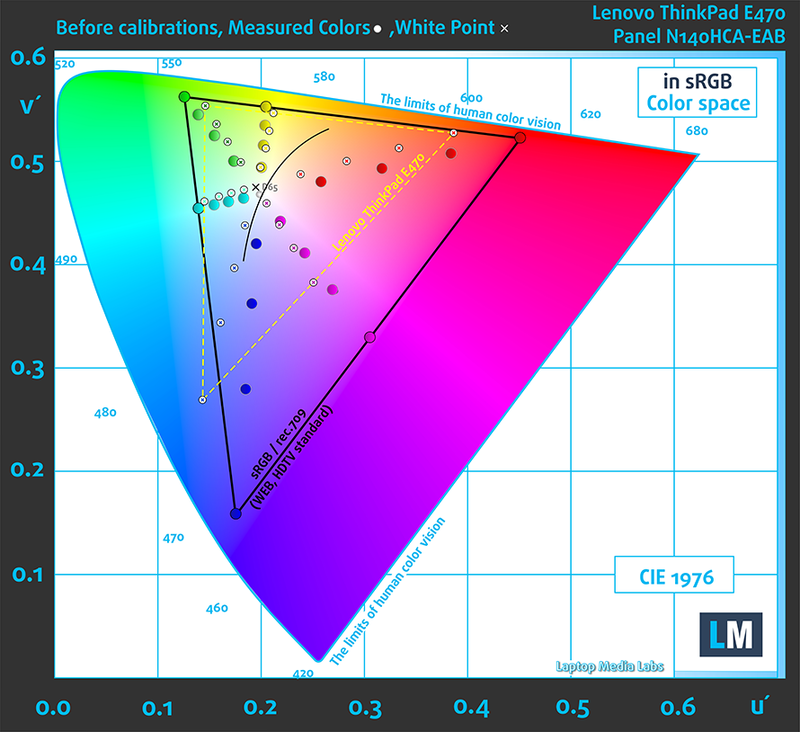 The contrast ratio is decent as well – 780:1 before calibration and 620:1 after calibration. The maximum dE2000 (color deviation) across the surface of the screen is 5.0, which is a bit more than we expected it to be. 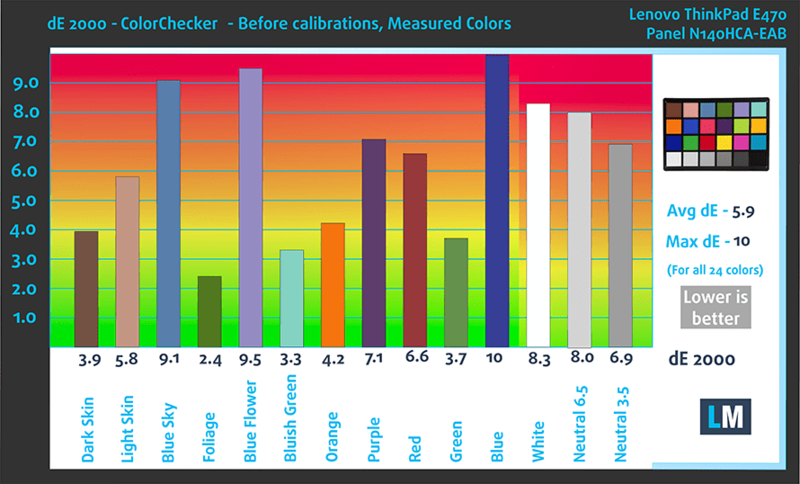 Usually, values above 4.0 are unwanted if you are planning to do some color-sensitive work. As expected from a budget IPS panel, the sRGB coverage is just 52% so almost half of the colors that appear on the web are missing. 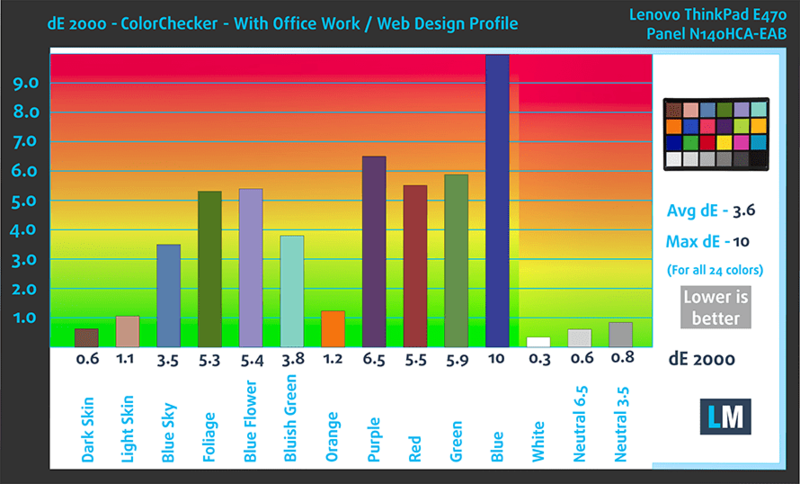 We’ve created the “Office and Web Design Work” profile at 140 cd/m2, 6500K (D65) white point and gamma curve optimal for sRGB (2.2). Our equipment was able to detect flickering only at 70 cd/m2 and below. That’s a really low value and we doubt you will use the screen at this luminance, unless you are in a pitch-black room. In any case, the frequency of the emitted light is pretty high and may not cause problems to most users. As you’d expect from a budget-oriented business notebook, the IPS panel is far from perfect. However, it delivers good properties overall for general browsing, work and even multimedia in some cases. The only considerable downside of the panel is the realtively low maximum brightness that might obstruct normal usage outdoors sometimes. Anything other than that is just fine, especially the fact that the panel is practically harmless to your eyes as we detected PWM only below 70 cd/m2. 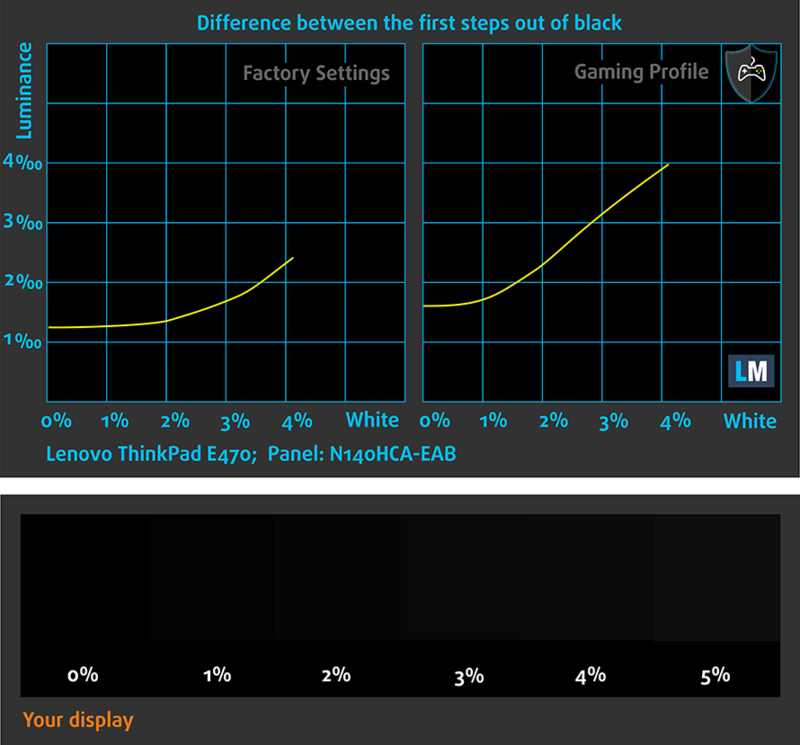 If you are looking for better gamma optimization and improved color accuracy, we suggest that you purchase our display profiles. The notebook we’ve tested came with pre-installed Windows 10 (64-bit) and we used it for the writing of this review. If you, however, wish to perform a clean install without the bloatware, we suggest downloading the latest drivers from Lenovo’s official website. Interestingly, the 14-inch E470 sports a bigger battery rated at 45Wh compared to the 15-inch E570 configuration we’ve tested earlier. This has resulted in slightly above average battery runtime but still, has a long way to go compared to the similarly-priced 14-inch Acer TravelMate X349-M.
We’ve tested the unit using the same settings as always – Wi-Fi turned on, Windows battery saving feature switched on and screen brightness set to 120 cd/m2. Nothing too crazy about this result but still a bit above the average for the price range – 408 minutes (6 hours and 48 minutes). The video playback test returned a scored, which can be considered as average – 345 minutes (5 hours and 45 minutes). It’s quite unlikely that you will start a gaming session without being close to a power source, but it’s good to know that you can play almost two hours away from the plug – 187 minutes (3 hour and 7 minutes). Here you can see an approximate comparison between the CPUs that can be found in the Lenovo ThinkPad E470 models on the market. 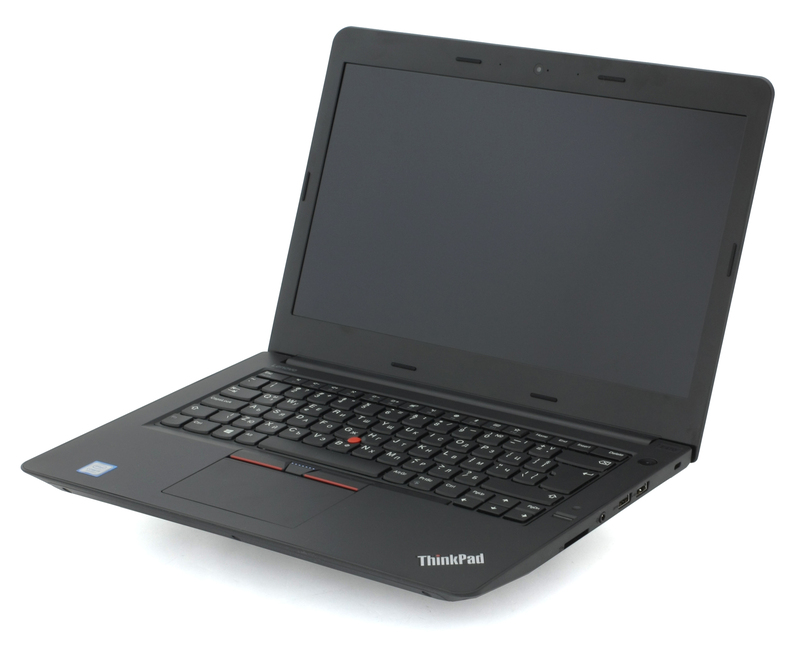 This way you can decide for yourself which Lenovo ThinkPad E470 model is the best bang for your buck. Fritz is a chess benchmark that tests the computing capabilities of the CPU with various chess moves. The Intel Core i5-7200U scored 6.350 million moves per second. In comparison, one of the most powerful chess computers, Deep(er) Blue, was able to squeeze out 200 million moves per second. In 1997 Deep(er) Blue even beat the famous Garry Kasparov with 3.5 to 2.5. Here you can see an approximate comparison between the GPUs that can be found in the Lenovo ThinkPad E470 models on the market. 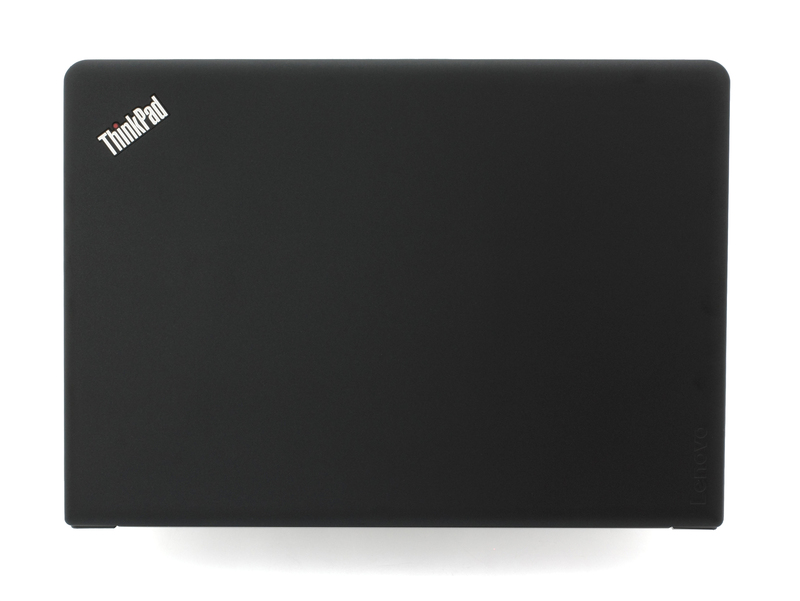 This way you can decide for yourself which Lenovo ThinkPad E470 model is the best bang for your buck. 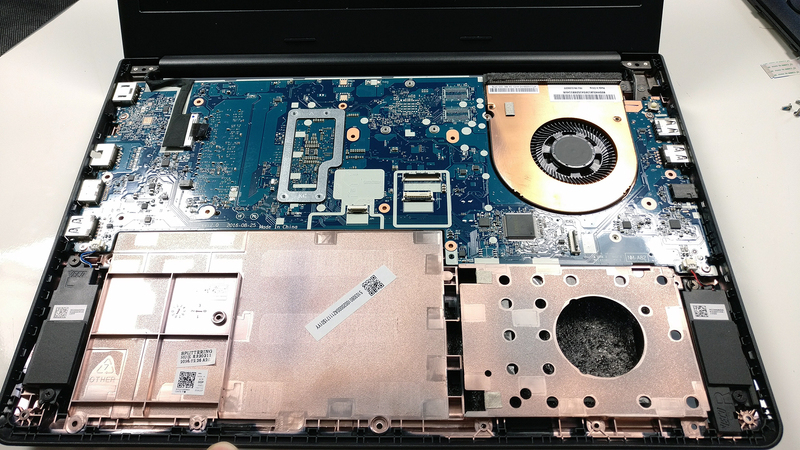 Of course, the ThinkPad E470 isn’t made for continuous and heavy workload and the two-staged stress test that we perform isn’t a good representation of real-life usage but it still the best way to assess the overall stability and effectiveness of the cooling system in the long run. We started off with 100% CPU load for an hour and the results show that the CPU is able to stretch its legs to the fullest with at 3.1 GHz, which is the maximum operating frequency for two active cores, and at reasonably low temperatures. The fan operations are quite silent as well. We were, however, quite impressed when we ran the GPU stress test as well. 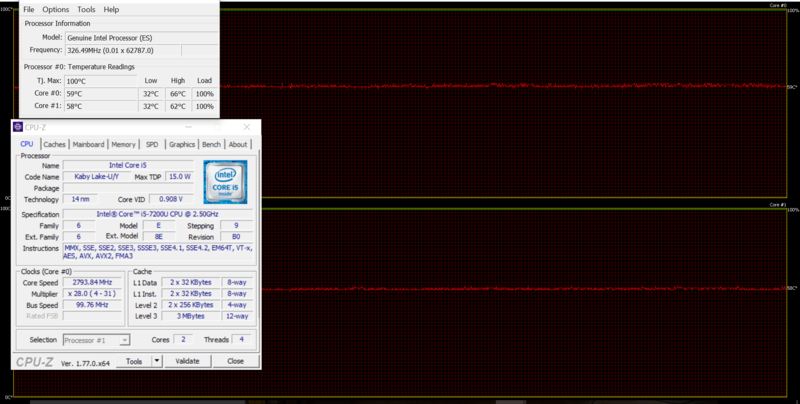 Usually, systems with iGPU only tend to clock down the CPU so the Intel HD Graphics 620 can perform to its fullest but as we see from the graph below, the processor is able to keep it steady at 2.5 GHz (base operating frequency) without affecting the GPU’s performance in a negative way. And even at this point, the fan was running surprisingly silent. It’s needless to say that temperatures on the surface are exceptionally low as well. Probably the relatively thicker body aids for better airflow overall. To be honest, the ThinkPad E470 isn’t bringing anything new compared to the previous generations except the fact that it feels more like the high-end machines from the ThinkPad series. It’s quite rigid and well built. The design is strict, classic and serious while the input devices are almost flawless. We say almost because the only thing missing at this point is a keyboard backlight. So the only major issue standing out is the lack of expandable storage options. Our unit came with a single 2.5-inch SSD and no option for an additional M.2 SATA or PCIe SSD. Some of you might argue with that since the laptop falls into the low-end to mid-range category but there are plenty similarly-priced 14-inch business solutions with the support of M.2 SSDs. Take the Acer TravelMate P4 TMP449 or HP’s ProBook 440 G4, for example. In any case, we miss mentioning the presence of a decent IPS panel, which is good enough for general multimedia, browsing and work. 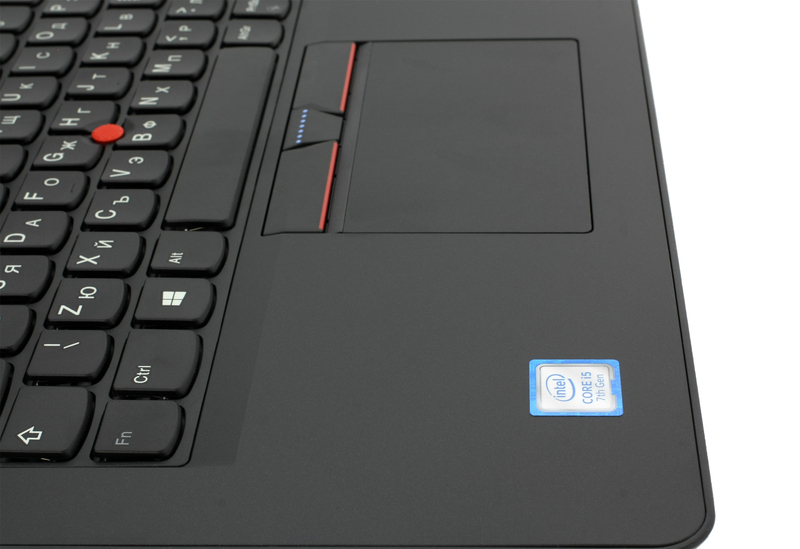 Basically, more than you could ask for from a budget-oriented business laptop. The good news is that even the battery doesn’t suffer from the latter so you get slightly above average runtime when browsing and doing some office work on the go. And to answer the most commonly asked question “Is it worth it?” is yes. 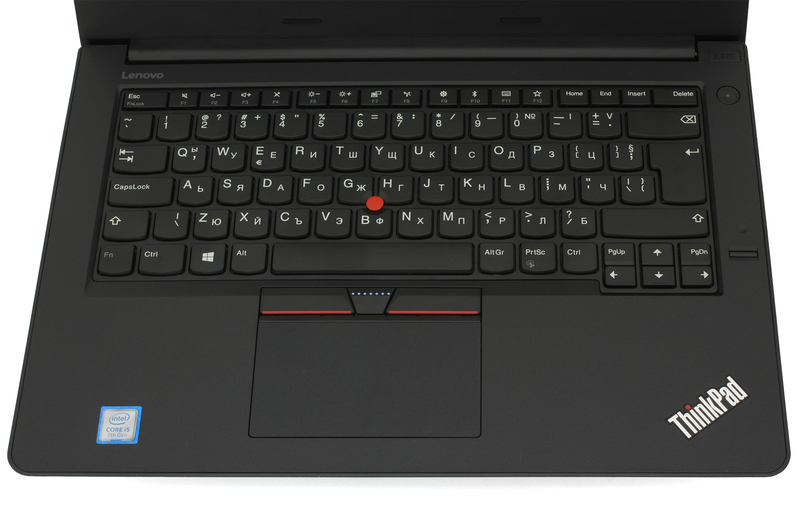 The E470 is a typical ThinkPad laptop even, though the asking price is lower than the usual ThinkPads. There are some small trade-offs that you need to consider before buying but for the most part, it’s a good budget and compact business solution. Just take into consideration the above-mentioned notebooks along with the excellent Acer TravelMate X349-M.